HSS Health & Safety Services offer services as competent CDM Advisor’s to assist with the clients roles and responsibilities to comply with CDM 2015. The Construction (Design and Management) Regulations 2015 came into force on 6th April 2015. The main aim of the legislation is to integrate health & safety throughout the management of a project to improve day to day planning & management from start to completion. Whether you are new to CDM or have previous knowledge HSS Health & Safety Services offer guidance and support throughout the duration of your project. Preparing and maintaining required documentation throughout a CDM project is highly time consuming. HSS Health & Safety Services can produce and maintain documentation on your behalf and supply assisting CDM Services such as Site Inspections and Meeting Attendance, etc. HSS Health and Safety Services CDM services offer excellent value and full peace of mind that responsibilities are being met to comply with all current legislation. This list is not exhaustive but provides a good understanding of the main stages of a CDM project. All construction projects now have to follow the principles of CDM 2015. All construction projects now require a Construction Phase Plan. Under the Construction (Design and Management) Regulations 2015 Regulations 5, 8, 9 and 11, Clients are required to appoint a competent CDM Principal Designer (or Designer with competency in both design and health and safety) and a Principal Contractor. It is the duty of the Principal Contractor to produce the Construction Phase Plan (CPP). If there is only one contractor onsite this then becomes their duty to produce the Construction Phase Plan. If the Client is constructing / renovating a domestic dwelling then it will become their responsibility to produce the Construction Phase Plan for the project. The Construction Phase Plan must be project specific and explain how all health and safety is to be managed during the construction & development stages. Construction Phase Plans are to address every factor of a project including details of key personnel, project description, programme of works with timescales, existing plans and records, proposed plans, health & safety information including risk assessments and method statements, site rules, emergency procedures, etc. The Construction Phase Plan must be prepared BEFORE the construction phase begins. It is in the best interest of the Client to appoint the Principal Contractor as soon as possible as this can help towards the design and development stages of the project. One of the main aspects of the Construction Phase Plan should be to show how hazards and risks have been reduced or eliminated at design stage. HSS Health and Safety Services have many years experience producing Construction Phase Plans for many large projects throughout the UK. HSS Health and Safety Services have been involved on projects such as insurance refurbishments following flood, fire, and subsidence damage. HSS Health and Safety Services have also been involved on large refurbishments, barn conversions, new build houses, ground-works, numerous NHS refurbishment contracts to the value of half a million pounds, large blue chip orgnaisation construction projects, plus more. Fees for producing Construction Phase Plans are dependent on size, complexity and how much information is being supplied. An example of this is being the Principal Contractor supplying risk assessments or if HSS Health & Safety Services are asked to supply them. 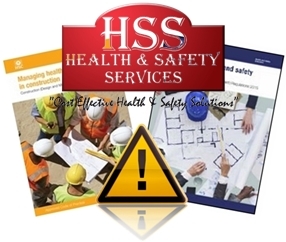 HSS Health & Safety Services can assist by producing a project specific Construction Phase Plan. If interested, contact HSS Health and Safety Services via our contact form or on 01780 753773 to discuss requiements further. A health and safety file must be produced for all projects involving more than one contractor. The health and safety file will contain information that may be required in the future for any construction related work, cleaning & maintenance services. The health & safety file / project completion portfolio will usually include warranty information, product descriptions, manufacturer details, model numbers, specification of products/materials, etc. HSS Health and Safety Services can assist with compiling and producing the health and safety file / project completion portfolio. This will require liaison and assistance from involved parties. Under the Construction (Design and Management) Regulations 2015 it is a requirement to inspect and monitor compliance with health and safety legislation. You must also ensure that work is being carried out in a safe and healthy manner on construction sites throughout the duration of a project. It is paramount that a competent person inspects the site daily prior to, during and after work shifts. It is then advisable to engage an external independent inspection at pre-planned frequencies, ideally every 2 weeks. HSS Health & Safety Services offer site inspections to help prevent areas being overlooked onsite and make sure all site activities are meeting requirements of all health & safety statutory obligations. HSS Health and Safety Services can assist management by providing practical, reasonable, sensible advice on precautionary measures, areas of concern, alternative methods, mechanical aids, minimizing individual risk, scaffold erection, site checks and procedures in operation, etc. HSS Health and Safety Services take into consideration the cost of extra measures against the level of risk and practicality of elements identified onsite. Our qualified health & safety consultants have many years experience inspecting / monitoring sites for many large projects throughout the UK including projects for insurance companies, private clients, hotel chains, the NHS on multi million pound projects, New build for Kier, New build and Refurbishment projects for Mace and a 600 million project New Build / refurbishment project for Interserve. Fees for site inspections / monitoring are dependent on size, complexity, and distance from HSS Health and Safety Services offices. 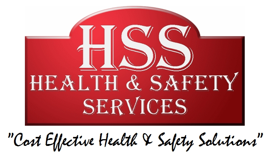 HSS Health and Safety Services offer excellent competitive rates and are known as one of the most reasonable priced health & safety consultants in the midlands area. If you would like further information on this service, please do not hesitate to contact us via the contact form or simply call us on 01780 753773 to discuss your requirements further.